Natural area rugs, such as bamboo, sisal, sea grass and jute, bring traditional beauty, durability and sustainability to your home decor. 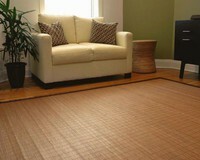 Natural area rugs are Eco-friendly and has unique natural qualities that make natural area rugs perfect for a unique application. 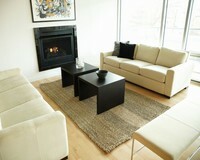 Natural rugs not only possesses unique qualities of classic and traditional beauty, but also extraordinary durability. Since its inception in 2003, Anji Mountain has established itself as the finest source of natural area rugs; including jute, bamboo, sea grass and sisal. A family business, they are founded on the principle that the astonishing renewability and versatility of natural area rugs create lots of new ecologically positive possibilities at a time when they are desperately needed. 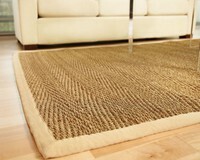 It’s their mission to bring these wonderful natural rugs to as wide an audience as possible. Natural fibers have been used by mankind for millennia to create a myriad of useful products, because they were available and plentiful. But, in our sophisticated, post-industrial society there seem to be a rekindled interest in products such as natural area rugs and mats. 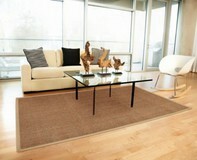 Natural area rugs bring enduring quality and durability to your home.